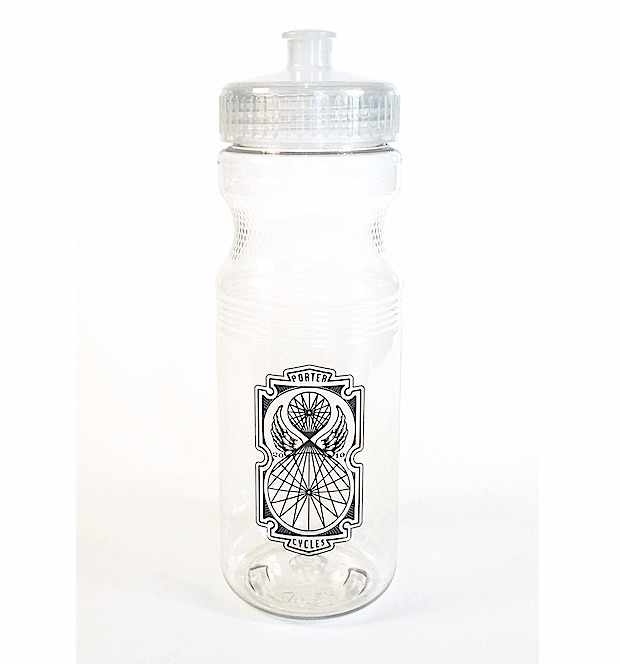 Our custom silk screened water bottles are light weight, durable, and are an Eco-Responsible product. 24 oz. (709 mL) PolyClear PET Plastic bottle - BPA free. Our custom silk screened water bottles are light weight, durable, and are an Eco-Responsible product. 24 oz. (709 mL) PolyClear PET Plastic bottle - BPA free. Push/pull cap and twist-off lid. Bottle and lid are both BPA free. Made in the USA. Minor scuffing and occasional color swirls are normal with this BPA-free material. Caution: These bottles are intended for cold beverages only and should not be stored near extreme heat. Hand wash only. Not dishwasher safe or microwaveable. Product Dimensions :: 8.625"H x 3"Dia.